Will technology help or harm children’s development? 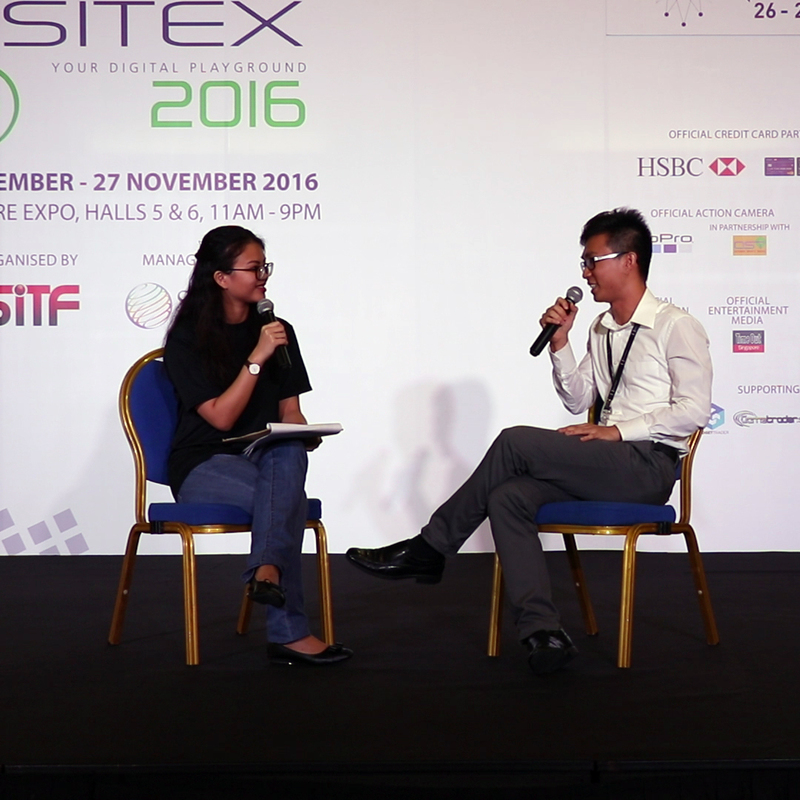 I was privileged to be invited to share my views on this topic close to our heart during SITEX last year. On SITEX 2016, we officially launched ThinkCrate, a technology-focused education product. It is a series of Arduino-based microcontroller projects for children and adults who enjoy creating their electronics projects. Utilizing the Arduino platform, we hope to get as many people to get into the culture of building, making, and coding. Read on below for the full interview transcript. Interviewer: Can you tell us a little bit more about how these kind of recent technologies have affected children and curriculum, and how you guys go about planning it? Me: I think technology has really evolved a lot, so back then I remember those days you have dial up modems, when a call comes in you lose your internet [connection]. Now technology is everywhere, in fact all of us here probably have a personal computer with us right now, which is our handphone. In terms of learning, technology has empowered children and students to have more accessible information at hand. So in fact information is cheap these days, a google search will reveal lots of information. In terms of planning curriculum what we do is we try to integrate this technology in, we call this blended learning where we empower them to do more self-directed learning back at their home, and they could come back in to classroom with the knowledge at hand and can jump right in to doing projects. Interviewer: So technology is very prevalent in children’s learning these days, can you tell us a little bit more about that, like how technology has entered the classroom? Me: So previously classroom learning is usually done through whiteboard, whereas now if you look into a classroom, be it in our enrichment centre, in schools, most teachers deliver lessons through PowerPoint slides, using media such as videos, photos, diagrams, so on. All these information are now captured through e-learning, whereby at the end of the day, the teacher could upload their lessons up to a cloud server, students can log in, pull out these information, and review them easily. In terms of tracking of assignments and learning content, there are solutions out there where it empowers the educators to track their students’ progress. In essence you could see whether students have reviewed the slides, how long they took, was it just a minute to skim through. So we do have measures in place to ensure that there is genuine learning done, and these assessments can then be captured through quizzes, so that there is more formative assessment midway, whereby you could track your students’ progress, instead of just having one final quiz at the end. A child playing with a physical electronic project game. Interest usually precedes inspiration. Interviewer: So how would this affect a child’s development, with having integrated technology in their learning? Me: I think we are in a lucky position whereby we have two groups of people. One which is our parents’ generation where they are not used to technology, another is our current generation where our learning is integrated with technology. Technology really empowers the students to look up for information by themselves. While it encourages them to do that, they may get distracted more easily, such as all the social media out there, or websites and so on that can distract them while they browse through the net for information. Interviewer: So nowadays the children can’t live without social media right? So how has this technology made a difference to their development then? We can argue that social media does make children happy, make them more connected yet disconnected but in terms of their development how would you say technology has helped them? Me: I think technology has shifted away how problem solving is done. I recall back then when you have a problem, what we do is we look up the solution through our parents, our family members first, followed by our friends to get some advice. Whereas now many a times when we speak to students “Where do you hear this from?” “How do you know it is done this way?” The answer that is often shared is that “Oh I looked up through the internet”. Then we are like “Oh ok, that’s great. Is it through your friends?” Because as you said you are more connected. And they will say something like “Oh no, I just done a search on the search engine, and that is the first link and I read it.” So our next question will be “How reliable is it?” Could it be from a blog post by a random stranger? Or was it really through an organization’s website, or a more reliable source. Very often these young students because they are not really exposed to different sources, how credibility works in the world today so they will just trust information at hand, and that’s where educators and adults come in to supervise and guide them: the know-hows of how to use information correctly. Interviewer: This is like media literacy, is that right? How do you teach the students how to discern this kind of information? If you are a parent in the audience, you may be thinking “My child uses the internet a lot”. How can we tell parents how to better supervise their child’s learning on the internet? Me: I would say not only internet. I would say internet is part of this broad topic of technology, so in terms of how do we balance it, again the keyword is to balance, so we encourage them to really give the child exposure to the internet or technology back home. We do have cases where what happens is that the children shared with us that they are banned from internet at home. Interviewer: So their parents say “you cannot use computer”? Me: Yes because “you use it in school already, so when you go home, you focus on your books. You get to use your internet back in school again when you go for your lab.” When they come over for enrichment or CCA activities, the first thing they do is to log in to the computer, and surf the games or surf the websites they’ve been craving for. We find that that is unhealthy. We find that there should be a balance. Of course it depends on the parenting technique, be it to restrict them base on time, or activity or reward systems. And more importantly what we find is that we should empower students to use technology to create content. I think the idea is that we should not just be pure consumers. It could be using technology to generate new things, ideas. For example if they picked up coding, they could code simple things. For students usually they may code games, that will really get them interested, and through that, there are a lot of life skills and transferable skills that they may pick up. For instance they will learn things like how logic works, how certain programming structure works. And they can begin to realise that “Oh actually these are the things around us”. Sometimes we encourage them to think of the common technologies around us. We need not talk about technologies like virtual reality, augmented reality. We can even talk about how a lift works. How do you program a lift to move from level 1 to level 10, so there’s some mathematical calculations involved. Or how does a traffic light work? Why is that sometimes when you press it, it immediately turns green in your favour to move? Why is it that sometimes when you press it you have to wait for 1 minute for it to turn green? All these little things form up this computational thinking whereby students now should be empowered to know how certain inputs can be translated into outputs through technology. Interviewer: So do you think that parents are scared of technology? That’s why they feel that “my kids are always using the internet, what do I do about my kids”. What can we do the alleviate the parents’ fears? Me: I think the parents’ fears are right, that’s everyone’s fear. In fact, even for ourselves, I fear that I may be involved in technology too much. I think for parents, the right way is to have open communication with their child to talk about their needs, to be there when their child uses technology. My suggestion would be to place the computer or laptop terminal in the living room, or the common area in the house where they would be able of what the child does. Because we do have unfortunate cases where we ask “do you know what kind of games does your child play at home”. And they go “we’re not too sure because my child just uses it and is always back facing me and I am not too sure of what he serves and so on” . So I think having an open communication and open community in the family does help and of course the parents themselves could participate in the activities with their children. I think especially in Singapore’s context these days where contact time with the children is really very previous because of work demands and their studies are so on. So I think family times could be catered to do more technology learning together. There are a lot of resources that are entirely free online or through community libraries and so on that they can participate, or attend workshops or roadshows like this just to have a sense of what technologies can do and more importantly, be there with their children. Interviewer: So technologies can actually bond parents and children? Me: Yes, I would say so, just as how technologies have bonded us with our friends as we game etc. and It should be applicable to families. Interviewer: That’s very true. Going back to the topic of how technology can be an educational tool, can you tell me a little bit more about how technology can actually help children learn more and also how parents can have an active role in it as they learn so both parents and children can both learn through technologies. Could you tell us a little more about that? Me: I think there are several ways. For instance, there are numerous online courses available. There are free and paid, so they can could sign up with their families or even as a parent through their parent account. Look at the courses. There are interesting courses, such painting or watercolouring. Me: It could be either through computer terminal, they could use it to create animations, there are softwares to do it to make their own movies and so on. And they could perhaps to use it to capture like maybe their latest holiday retreat somewhere, so they can use it to document it down. They could also be involved in making photo collage montage through photo editing tools and other technologies there. In terms of other kinds of learning, there are also platforms available that they could get and then they could conceptualise projects together. They’re something like maker kits where they could put things together. And usually these kits maybe slightly difficulty? So That’s where the parents could come in – to guide the children and to be there with the children. Teaching a class “Arduino for Families” at IMDA Pixel Labs. We find courses such as these to be meaningful bonding activities for parent and child. Interviewer: And it’s so important for the parents to be there as the child learns cos I’m sure as the child is growing up, they really look up to their parents and they really need the parents’ support. So could you tell us a little bit and maybe some last words on how parents and children can both embrace technologies not to be something they fear and not to be something that is isolating them but to be something that is a rewarding experience? Me: Firstly, we have to acknowledge that technology is here to stay. I don’t envision us suddenly go without our handphone and without internet at home. Interviewer: Yes, I think a lot of people can’t imagine that at all. Me: Yes, haha. I can’t imagine a day without my phone. That’s the first step – to really acknowledge and accept that technology is the way to go and with the advances that we are seeing around us, technology will definitely progress further. Their fear is kind of revolving around this idea of addiction, or maybe you know too much. Interviewer: Like Addiction to say smartphones, internet cos kids these days just get put them down right? Me: There are several kinds of addiction, while some maybe worried about unhealthy content. There are also healthy content. What happens when the child just loves reading lots of documentaries and movies about his favourite subject, space? So he cant stop and so on. I think at the end of the day its really about balance, its about contact time, its about knowing that life still goes on without technology. So do not be too reliant on it. If you cant find a recipe online, look it up to the books. There are always other measures to get it done. Interviewer: Haha sometimes we forget that books exist, like the physical books. At the end of the day its about balance. Me: Yes exactly, through the libraries and so on. At the end of the day its about balance, to have contact time with the children at home, to embrace these technologies to know that it could be good or bad, its again dependent on how we use it. But to directly cut off from technologies, that is not the ways to go. The more they do it, the more they may find other avenues – be it through friends’ house, in other places where they have access to it, they will jump right into it. So I think at the end of the day, its really all about balance. Interviewer: Really wise words by Mr Wee, so just to round up what you have just said, well parents, you have a role in your child’s learning and it’s good to bond through technologies. And don’t too worry about it, technologies here to stay but also do not neglect your family time. Is that right? Yes. Alright thank you so much Mr Wee for speaking to us, thank you so much. I’m sure that everyone has learnt so much today. Thank you so much, and we hope to see you around SITEX yeah? Me: In fact I will be around available down here if anyone would like to talk to me, or if not I will be back at my booth at the IMDA PIXEL Labs, Nullspace area. So I will love to talk to public over there. Interviewer: That’s right and there’s a lot of games that children can try out at IMDA PIXEL Labs right? Me: Yes, there are a lot of coding stations. You can bring your children here or if they’re not around today, just feel free to come in to explore. Interviewer: So you will be here all the way till Sunday? Me: I will be here today, and my colleagues and partners will be around too. Interviewer: Alright, so Mr Wee is an awesome person but his colleagues will also be here on Saturday and Sunday. Thank you so much Mr Wee, it’s a pleasure speaking to you. And yes, stick around! We have more speakers sessions and more prizes to be given away.